No, you’re not bugging. B & B Foreign Car Repair is the friendly, local auto repair shop serving Napa drivers since 1971. Our shop started out as Bug & Buggy, specializing in VW Bugs, but has grown to a full-service auto repair shop working on all makes and models, including imports, domestics, hybrids, vintage cars, commercial vehicles, and RVs. We offer brake inspections & repair, anti-lock brakes, check engine scans, general and factory scheduled auto repair and more. We’re known for our exceptional, high quality service and family vibe, where all people, pets, and cars are welcome and treated with care and respect. We strive to support the community and everyone in it, from the soccer moms who need a reliable taxi cab to transport their precious cargo, to the person who has that classic beauty sitting in the garage and just wants it to run again. B & B Foreign Car Repair understands that your vehicle is important to you and we ensure the highest-quality of service on all of our repairs. We strive to improve our industry's reputation with our integrity and education of our community. 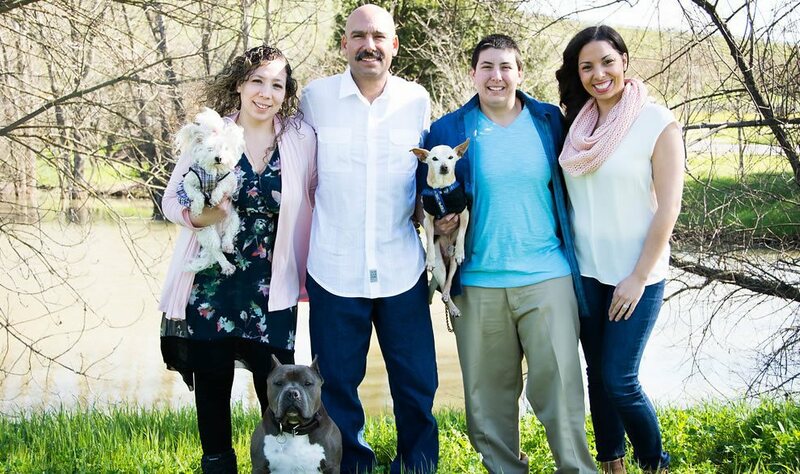 Let the Correa family be your eyes, ears and voice of your automotive repair needs. Bring your dog along. We do! Our shop is pet friendly. After hours car drop-off! Key drop box by the garage door. We offer a free shuttle service within Napa. Soft drinks, water, and coffee are on the house. We have free Wi-Fi, so google something already. In its 40-year history, B & B Foreign Car Care has been owned and operated by three families, each carrying forward the traditions of the other and adding their own automotive expertise to the business. The original owners, the Means family, established Bug & Buggy on Coombs Street in Napa, and expanded to 1750 Tanen Street in 1978. The Means eventually sold the shop to the Cole family, who updated the name to B & B Foreign Car Repair, as they worked on all import vehicles. Thirty years down the road, we, the Correa family, bought the business, adding domestic vehicles and motor homes to the shop roster. We’re a unique auto repair shop, even among family-owned and operated shops, because three women are at the helm of our business. You see, our owner, Ron, encouraged his daughters to join the automotive industry, and now dad and daughters manage the shop together. As a female-led business, it means a lot to us to run an honest, transparent auto repair shop, where people aren’t intimidated or afraid to ask questions. We believe part of our job is to help drivers understand their cars. "My girls are new to the auto repair business, but with my help, we will lead the general repair industry in Napa to become more open to women's concerns. We have toys for children to play with while mom talks to us about her auto repairs. We have a comfortable recliner for customers to doze off in while they wait for their oil changes, and we have preventive maintenance pamphlets along with other reading material for our customers to become more aware of their vehicle needs." In Napa, B & B Foreign Car Repair is known as a Volkswagen specialty shop, and while we continue to work on VWs and sell a large assortment of new and used VW parts over-the-counter, today, we do so much more! We have two ASE Master certified technicians trained and equipped to handle all major and minor repairs on both import and domestic vehicles, using the latest automotive technology. All of our technicians are continuously growing their knowledge and skills by enrolling in a variety of training courses such as Hybrid Diagnosis & Repair, Engine control systems, Check Engine Diagnostics, etc. B & B Foreign Car Repair is here for all your car care needs! If you’re looking for our shop, we’re located at 1750 Tanen Street, right off Soscol Avenue around the corner from Napa Valley Car Wash. We’re convenient to Downtown Napa, Napa Valley Community College, Yountville Veteran's Home, Napa Valley Museum, Napa Valley Opera House, Uptown Theatre, Oxbow Market, Napa Valley Airport, Culinary Institute of America, Sonoma Infineon Raceway, and hundreds of big name wineries, including Robert Mondavi, Sutter Home, Mumm, Domaine Chandon, and Napa Smith Brewery. In addition to Napa, we serve Yountville, St. Helena, Calistoga, Sonoma, American Canyon, Vallejo, Fairfield, Cordelia, and Suisun City. Our family looks forward to continuing to serve the Napa community with exceptional, high quality automotive services, and we’re happy to give back whenever and wherever we can by raffling free oil changes or raising funds for school sports teams. We value you a customer and want to make sure everything - engine, brakes, A/C, radiators, exhaust, and all - is running smoothly. Napa is truly a beautiful place to live and work, where family-owned businesses like ours are appreciated and respected. We hope your family will trust us to take care of your vehicles. Don’t hesitate to make an appointment and get to know us. We can’t wait to meet you!